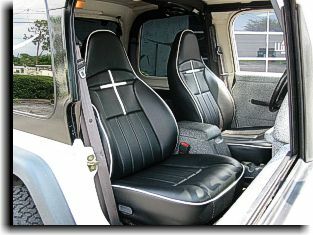 This show winning Jeep is owned by Bonnie Seymour of Spring Hill, Fl. 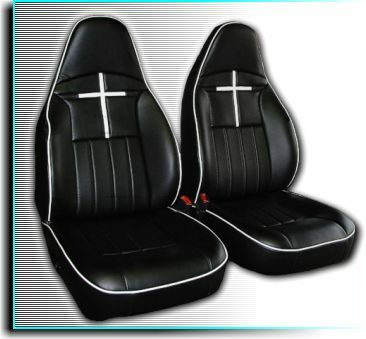 Catalina Custom covered the seats using black Ultra Leather HP for the facings with a vinyl matching trim. 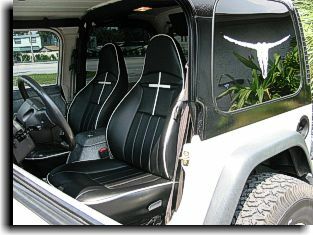 White vinyl was used to accent with a white welting along with the white crosses to project her theme of Christianity for her Jeep..